On the opening day gala dinner, I had the thrilling surprise to be named “The Spirit of Speyside Whisky Festival Ambassador of the year 2015”. 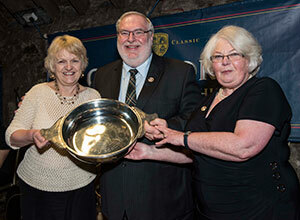 Frank and Jackie Scott from New-Brunswick (Canada), the Ambassadors 2014, handed me the SoSWF quaich. Rothes House – the old manse is now the VIP guest house of Glenrothes – honoured the tradition of “dine in style” with Glenrothes Vintage Dinner. A gourmet menu prepared by the chef of BBR kitchen in London featured pairings with younger and older Glenrothes, including the superb Vintage 1975. The guests were encouraged to wear something vintage. 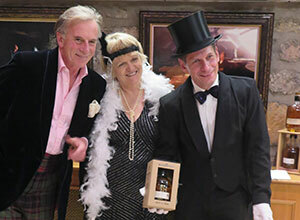 Michael Weng from Germany won the game, costumed in top hat and silk tailcoat. I had chosen to step back into the glamour of “Gatsby le magnifique” (the Great Gatsby). Glen Grant gardens, with the amazing hut Major Grant had built to welcome his guests, were the perfect place for a Victorian picnic. 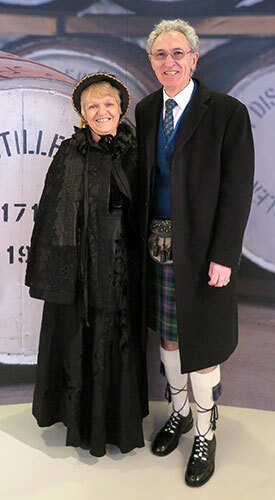 The idea was to offer original pairing with Victorian times baking and Glen Grant but also to revive some of the great achievements Major Grant realized for the distillery. Who, better than Dennis Malcolm, could tell stories and offer the guests a dram with a dash of the burn water? For that day, I was Victoria, the major’s niece who had specially made the trip from London to visit her uncle. I must say the strict and rather austere Victorian costume was much appreciated to protect me from rain and cold. 30 guests toasted our sadly departed dear friend Michael Jackson at the Craigellachie hotel. We told stories, remembered the good moments spent with him and honoured his memory. After the dinner, bottles and books were auctioned and not less than £2000 were gathered for the Parkinsons Foundation. This dinner might become a regular event at the Spirit of Speyside Whisky Festival. 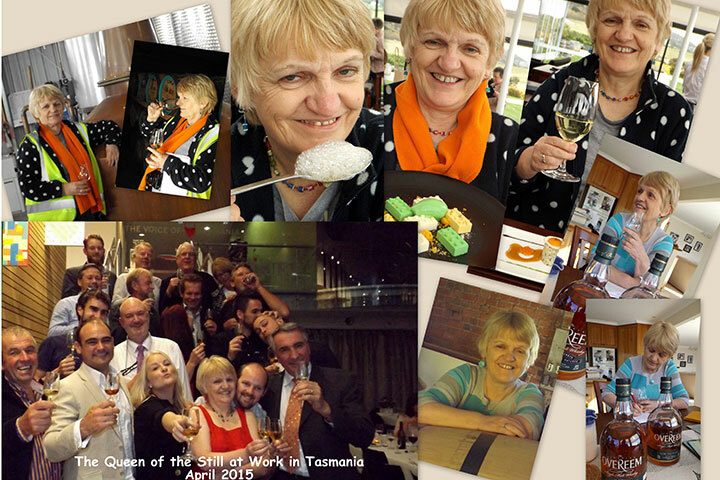 My trip to Tasmania was the highlight of my Australia’s tour. I visited 8 distilleries, tasted all the good fare of this resourceful island and met wonderful people. I even had a taste of their excellent wine! I will give a full report of that enriching journey in Whisky Magazine (France) September issue. Can I suggest that Tasmania is the Islay of Australia? In July, I was invited by Glenmorangie to attend the first day of St-Andrews Open Championship. I am a full (golf) tee totaller I must confess. I liked the atmosphere but had no idea what was happening on the green! But I took the opportunity to visit Wemyss’ new distillery on a free afternoon. 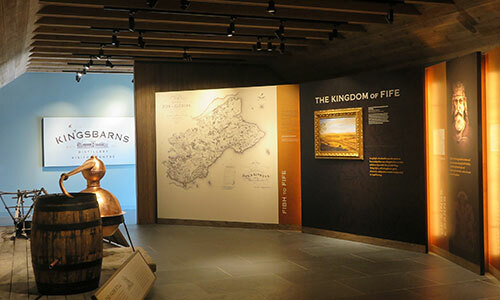 I was impressed by Kingsbarns with its welcoming visitor centre, its small museum and its all in one room distillery. The new make is fragrant, fruity with a floral touch and very promising. Glenmorangie hosted a friendly dinner at Rocca Saint-Andrew the night before the Open started. 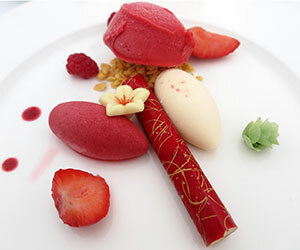 I was absolutely flabbergasted by the sweet: a raspberry and hyssop sorbet and a delightful white chocolate “cigar” filled with subtly spiced hyssop cream. Not only it was light and delicious (hyssop has a refreshing aniseed taste) but it was also a little piece of culinary art, with shapes and colours artistically combined. Well done, le chef pâtissier! Music and whisky are definitely a good pair. 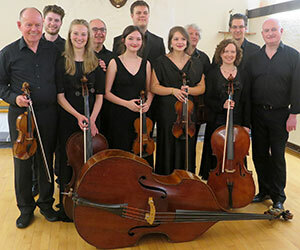 The 2015 edition of Cantilena chamber Music festival was the highlight of my year on Islay. Spoilt with a concert every evening, I also hosted the now traditional Music and Whisky pairing tasting, focusing this year on “moods”. I had borrowed my Glenrothes friend Ronnie Cox’s terminology. We started with the uplifting mood (ideal for the morning and for Spring) featuring Bowmore Small Batch and the first movement of Rossini String sonata N°3 in C. Then we carried on with the conversational mood (midday and Summer) around Bruichladdich Islay Barley 2007 and Bach Concerto for two violins in D minor (1st mvt). The relaxing mood (late afternoon and Autumn) was illustrated by Bunnahabhain 18 Year Old and Mozart’s Ave Verum Corpus K618. We finished with the meditating mood (night and Winter) brought in by Massenet Meditation for Thaïs and Ardbeg Perpetuum. A moment of exception!